You don’t have walk alone or be Beatles rich to think about and plan for your estate. Provides consulting services for issues related to legacy planning. Connects artists and donors to community service organizations through placement of original artwork. A Visual Artist’s Guide to Estate Planning, a comprehensive handbook designed to assist artists in planning their estates. Provides resources for individuals, institutions and estates wishing to develop and maintain creative legacies. 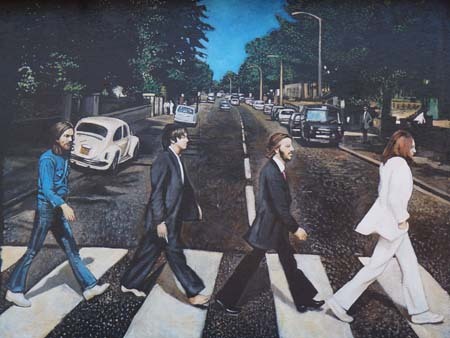 Image credit: Photograph by Annie Houston of a 2015 mural in Springfield, MA, of Beatles Abbey Road album cover art.